December 2015 | Florida Law Advisers, P.A. A postnuptial agreement in Florida is much like a prenuptial or antenuptial agreement in that it is a family law contract between husband and wife which sets forth terms for the splitting of assets, alimony or both should the marriage end in divorce. The difference between a prenuptial agreement and an antenuptial agreement is timing: an prenuptial agreement is executed before the marriage and a postnuptial agreement is executed during the marriage. The agreement may not be made to facilitate or promote the divorce; however, it is acceptable that the parties contemplate the outcome of the possibility of a divorce when entering into a postnuptial agreement. A divorce law firm in Tampa can help you draft a postnuptial agreement that is legally enforceable. Therefore, if you need assistance with a postnuptial agreement in Florida contact a divorce attorney in Tampa. There are many specific terms a couple may contemplate when entering into a postnuptial agreement in Florida. For example, the spouses may agree about living situations, such as living apart. Should separation be in immediate contemplation, it is not against public policy, and is therefore acceptable, for the parties to define their mutual rights and responsibilities with respect to support and custody of children, in addition to financial and property considerations. See Sedell v. Sedell. Spouses may even agree that in the event of a divorce or separation, that they will live together in the family home until it is sold. However, Florida divorce law does not allow for all issues to be included in a postnuptial agreement in Florida. For more information on what can be included in a postnuptial agreement in Florida contact a divorce attorney in Tampa. In order to be valid, a postnuptial agreement in Florida the agreement must not be the result of duress, coercion, or overreaching by either party. Should the court find that the agreement is the result of duress, coercion, or overreaching, the postnuptial agreement may be set aside or modified by the court. 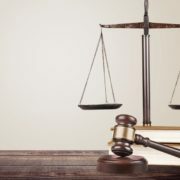 Alternatively, if a party can show that they were induced to sign the agreement because of fraud, deceit, or misrepresentation, a court may set aside or modify the postnuptial agreement in Florida. Finally, if the postnuptial agreement was entered into without advice from counsel (a licensed attorney) and/or was entered into without a full disclosure of assets, then the court will look at the agreement with skepticism. An experienced Tampa divorce lawyer can help to ensure your postnuptial agreement is legally enforceable. If the court finds that the postnuptial agreement is unfair, then a presumption is raised that the party did not have sufficient knowledge of the financial situation and as a result of his or her ignorance, his or her ascent to the agreement is considered involuntarily. This presumption can be overcome by showing that the shortchanged party did in fact have sufficient knowledge of the assets and income of the other party or that the other party made a full disclosure. See Macar v. Marcar. The fact that one party made a bad decision (or a “bad bargain”) with respect to the agreement will not, in and of itself, cause the court to modify or set aside the postnuptial agreement. See Chovan v. Chovan. Voiding a postnuptial agreement in Florida is based on the specific facts and circumstances surrounding each case. To determine if you may have a legal basis to void a prenuptial agreement in Florida contact a divorce law firm in Tampa. Because a postnuptial agreement in Florida is a contract, it must be based on valid consideration. Consideration is required for every contract in the United States and it represents something that each party will give up or receive as a result of the agreement. Examples of valid consideration for postnuptial agreements include: one spouse’s duty to support the other spouse and the other spouse’s right to compel that support, mutual promises which encompass various rights or duties of the parties, or the mutual cancellation of a previous agreement, such as a prenuptial (or antenuptial) agreement. Unlike a prenuptial agreement, the marriage itself cannot be considered valid consideration as the marriage has already taken place upon the execution of a postnuptial agreement. A well-executed postnuptual agreement will take into account the unique situations of both parties and their precise financial and familial situations. For help drafting or enforcing a postnuptial agreement you should speak with a local, Tampa divorce lawyer. To speak with a Tampa divorce lawyer at our firm call us today at 800 990 7763. We are available to answer your calls 24/7 and offer a free initial consultation with a divorce attorney. A Florida antenuptial agreement (also called a prenuptial agreement) is similar to a postnuptial agreement, with the exception of timing. An antenuptial agreement is executed before the marriage and a postnuptial agreement is executed during the marriage. In Florida, antenuptial agreements are not void ab abinito, or automatically, meaning the agreement will be upheld unless it is found defective in some way. However, you should be cautious and seek counsel from a divorce attorney in Tampa for assistance with the agreement. If not properly prepared you may face unwanted consequences. A Florida antenuptial agreement can be a lifesaver in the event of a divorce but it cannot be used to facilitate a divorce. In other words, an antenuptial agreement should be used to plan for a potential divorce, not to plan the splitting of assets once a married couple has decided to end the marriage. If the court is to find that it appears that the dissolution of marriage was not prosecuted in good faith, on unproper grounds, or in such a way that the agreement was meant to promote the divorce, the court will may invalidate the agreement. A Tampa divorce lawyer can help to minimize this sort of risk. You should contact a Tampa divorce law firm to schedule a consultation to discuss your specific circumstances if you are contemplating creating a Florida antenuptial agreement. Misconduct with respect to the marriage by either or both parties will not necessarily invalidate an antenuptial agreement. The courts will evaluate the misconduct with respect to the antenuptial agreement, but the misconduct will not invalidate the agreement unless the misconduct is so gross that it is beyond the contemplation of the parties at the time of entering into the antenuptial agreement. See Swad v. Swad. Generally, adultery is not considered gross misconduct by the courts for this evaluation. 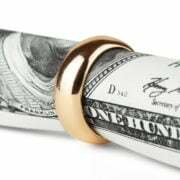 In addition to the basic alimony and property splitting considerations, there are a number of ways to use antenuptial agreements so that each party can accomplish his or her goals with respect to his or her property, should divorce become necessary. So long as the agreement is not against the public policies of the state of Florida, private parties can be creative with the drafting of these agreements. Examples of ways to use antenuptial agreements include (but are not limited to): making separate property joint after marriage, mutual release of dower and curtesy (with the intent that marriage not affect property), waiver of right to elect to take against will of surviving spouse, and so on. Specific questions, concerns, or goals with respect to utilizing or enforcing an antenuptial agreement should be discussed with a Tampa divorce lawyer. A skilled antenuptial lawyer can be very helpful not only with the negotiation process but also in drafting an agreement that will hold up in court if it is ever contested. The lawyers at Florida Law Advisers, P.A. are experienced at negotiating prenuptial agreements that protect our clients rights and satisfy rigorous judicial scrutiny. If you are considering drafting or challenging antenuptial agreement and have questions, you are welcome to contact us to schedule a free consultation with a Tampa divorce lawyer at our firm.